These are just guides for you to create your own sheets when starting out and during the mentoring process. Great for recording advice given or shared with the mentee. Just in… Estyn have shared their information giving recommendations on what Science lessons should look like and the responsibilities of the appropriate parties. All good information which confirms that those who have English as their second language should also be challenged and given scientific experiences. The report has a context in the Welsh Government’s vision for scientific research, science teaching and the commercialisation of research set out in the Welsh Government document ‘Science for Wales – A strategic agenda for science and innovation in Wales’. work with other schools to share effective approaches to teaching and assessing science. provide training for teachers with weak science subject knowledge. plan to use a wider range of numeracy skills in science lessons. support schools to share best practice in science education. review the National Curriculum subject orders for science to include essential content. Brilliant and clear diagrams to show the difference between a leader and a manager. Which are you? 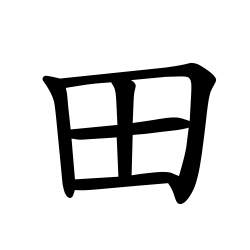 The radical 亠 is pronounced （ㄊㄡˊ）. Some characters with this radical are 亡, 交, and 亮. In those three characters, the radical is written before the rest of the character.